3.5 out of 5 based on 13 bloggers and 3 commenters. 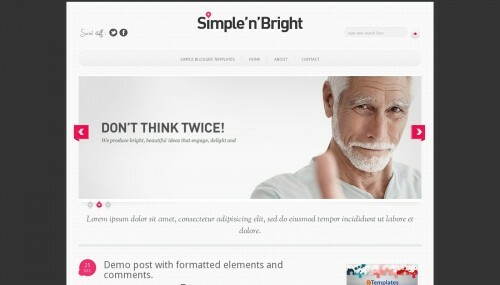 Simple and Bright is a free blogger template adapted from WordPress with 2 columns, right sidebar, footer columns, slider, social bookmarking icons, posts thumbnails, a background pattern, well designed threaded comments, simple look and neutral colors. Okay timestrap error. . found it. . my bad didnt read the instructions. .